Tuesday prior to the meeting. 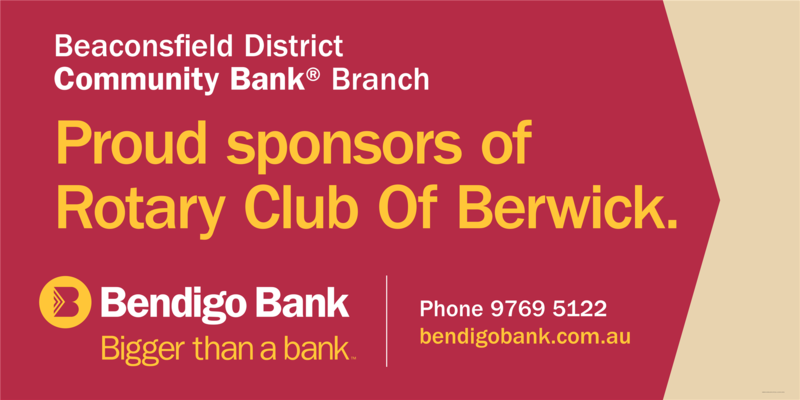 Berwick & District Benevolent Society Inc. 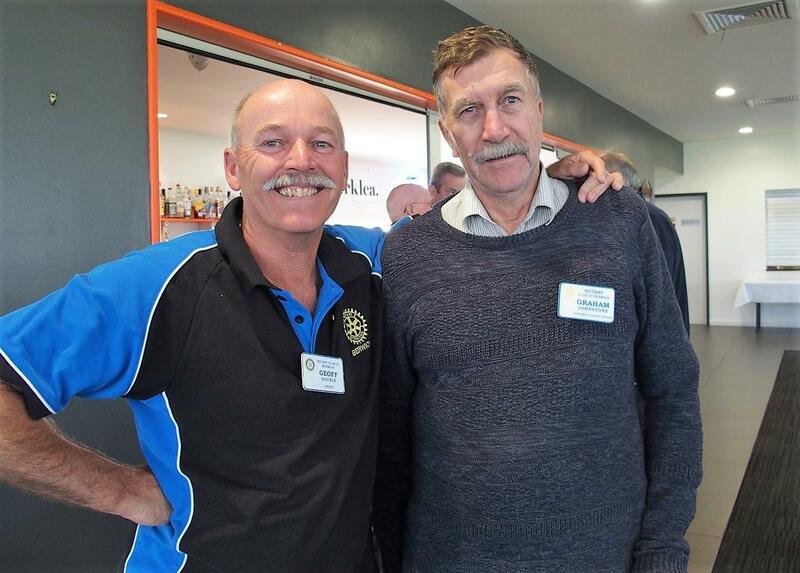 Since 2015, the Rotary Club of Berwick has had responsibility for management of the Berwick & District Society Inc.
Bob Lay AM provided a summary of the Charity Golf Day event that was held on Friday 1 March. He reported that 21 teams had participated in the competition and early estimates are that approximately $13,000 was raised. In typical Melbourne fashion, the event began in hot sunny conditions with the temperature at 37 degrees Celsius and ended with a major thunderstorm that resulted in many people getting drenched. 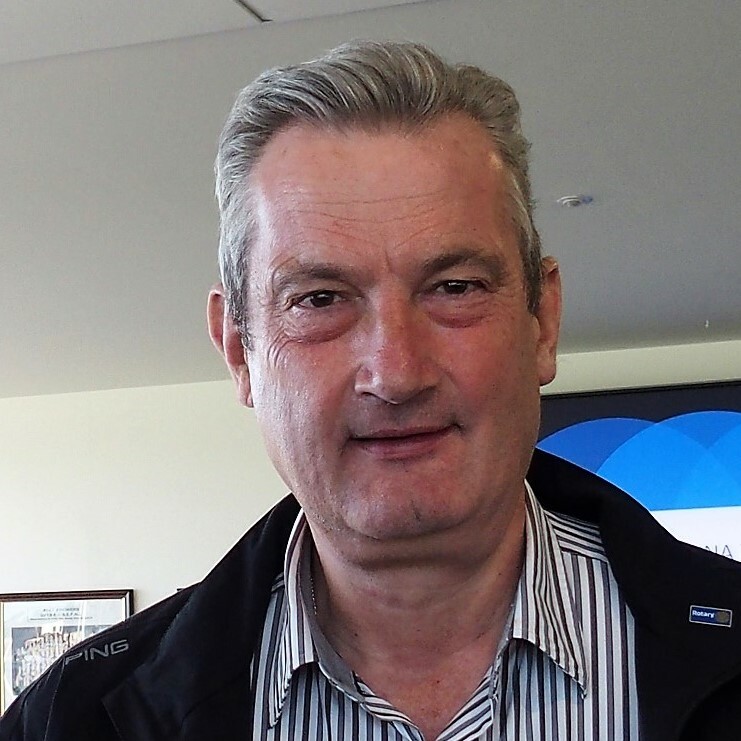 Bob thanked all those who had contributed to making the event so successful. 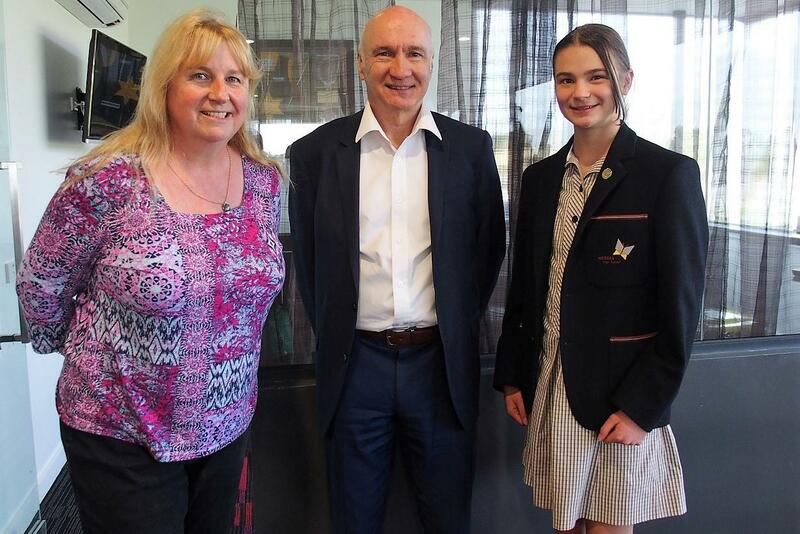 Our international exchange student, Tara Wilkinson, has provided her monthly report to her Counsellor, Clare Ganderton. 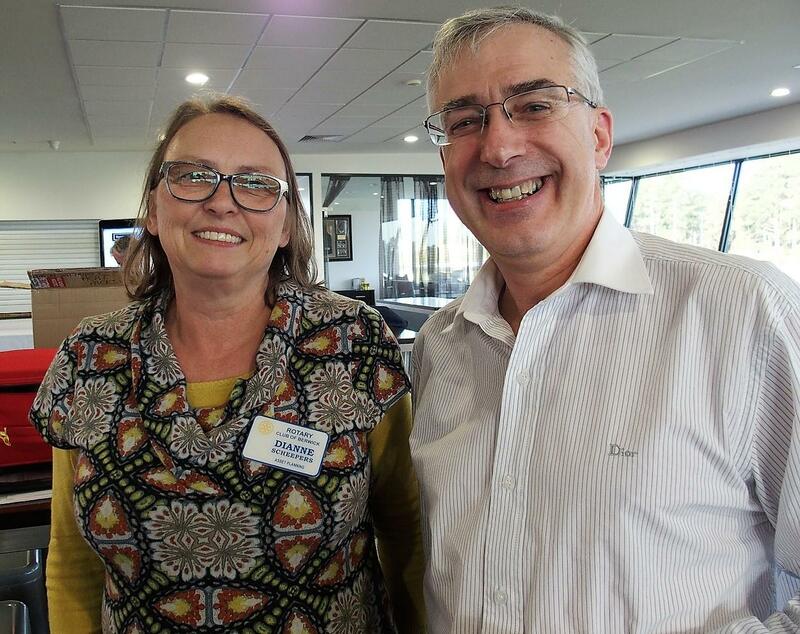 Clare reported that Tara recently volunteered at her first Rotary event, which involved serving chilli in the Arctic cold of Grand Rapids. She has been asked to prepare and deliver a geography presentation on Australia to the Faculty members of the University of Minnesota. Although she is a bit nervous about doing it, she knows that it will be a wonderful experience. 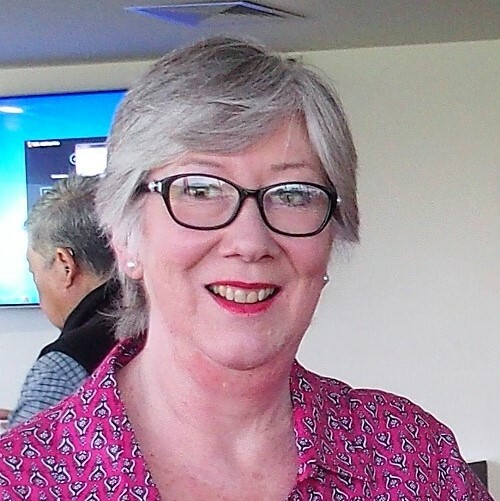 Tara's host sister, Anna, has introduced her to many people and encouraged her to be involved in all sorts of new activities, such as snow sledding and "track", which is the same as our athletics. She is joining the team and said that the training is so tough she believes that she will soon be "Olympics ready". Tara has had many new experiences including "homecoming" week, a visit to Chicago, watching a National Hockey League game and seeing the State Wrestling Championships in Minneapolis. She is so busy that she is not homesick and is really enjoying her time in the USA. 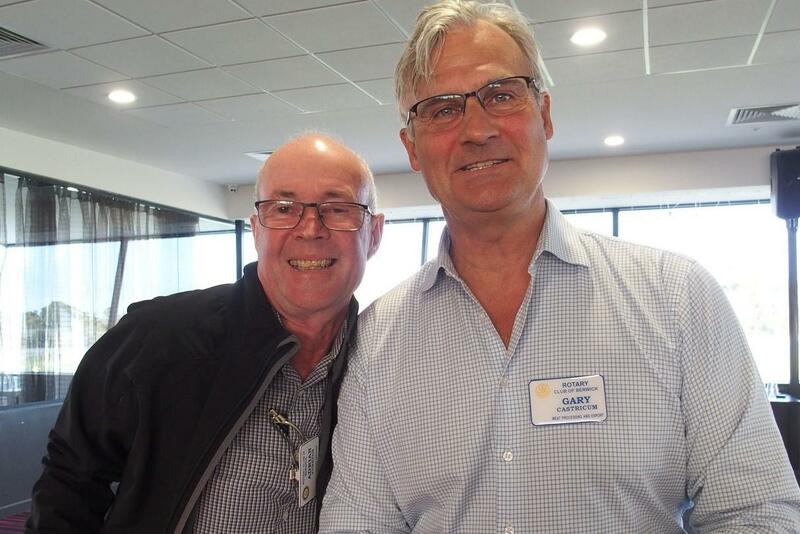 PP Jim Wilson advised that he is forming a Membership Committee that will continue functioning for the next Rotary year. 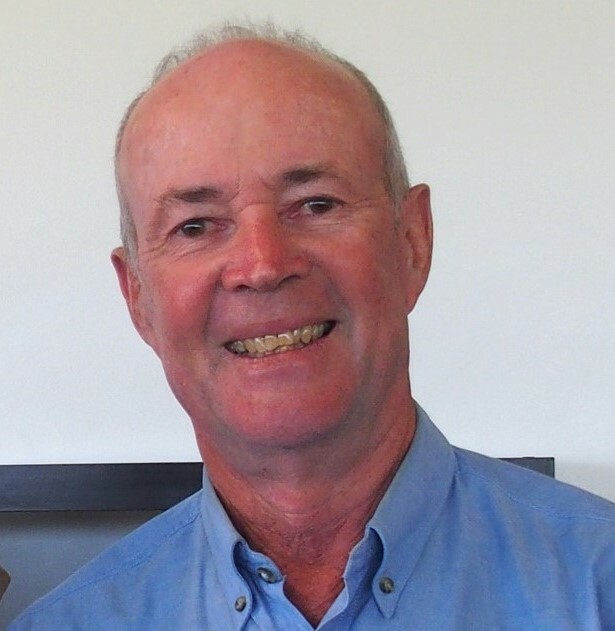 Jim advised that the main drive of the committee will be on "Recruitment", based on the three components of "Ask", "Invite" and "Promote". 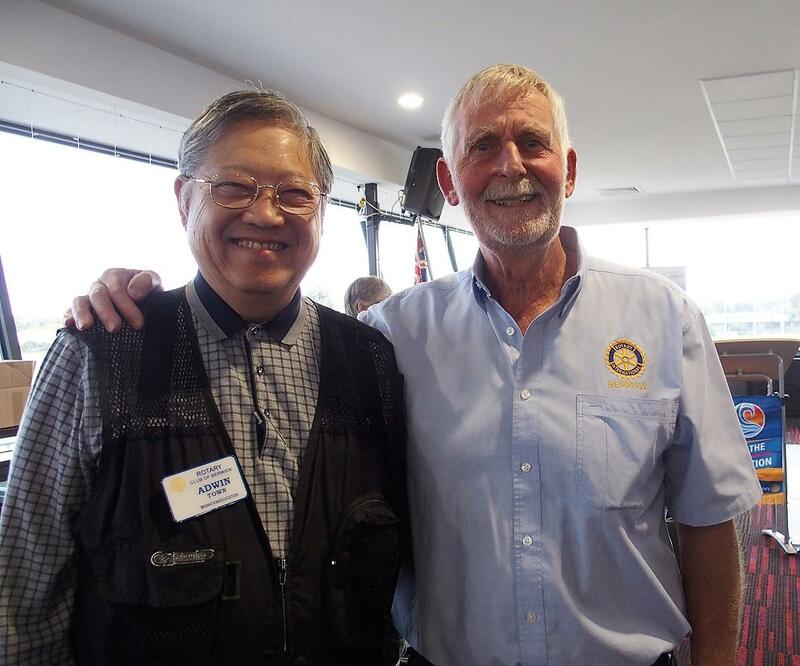 We should "ask" those in our social and professional circles who we consider would make good Rotarians, if they would be interested in joining the Club. 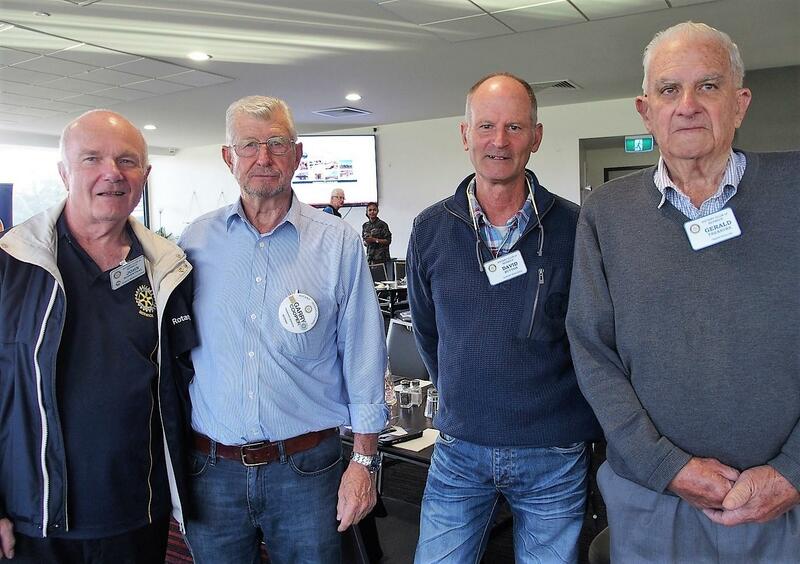 We should "invite" them along to a few meetings/events to get a feel for what Rotary is all about and we should "promote" the Club and Rotary in general. 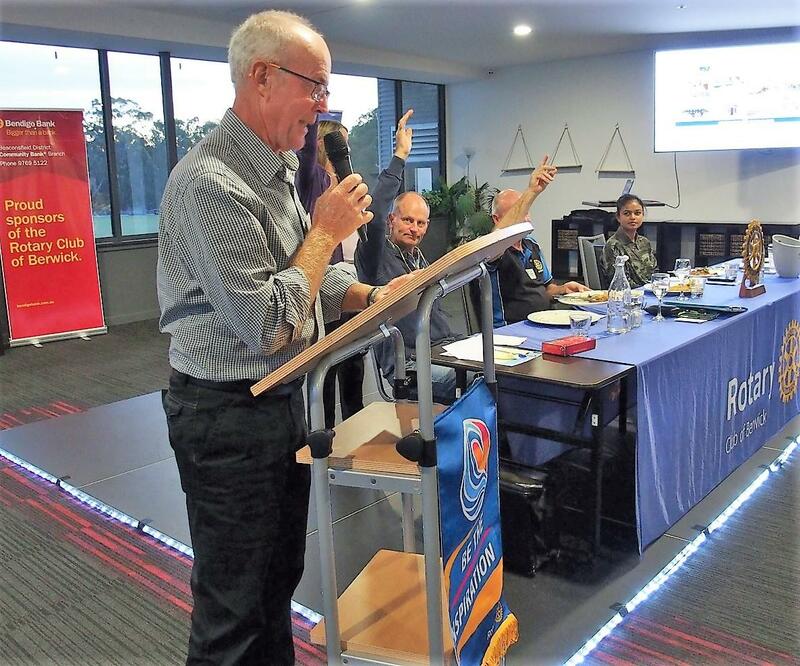 Jim stated that an email will be circulated soon, inviting interested Rotarians to join the Committee. PP Adrian Funston (Funno) reminded everyone that the annual Wilson Park clean-up will take place on Wednesday 27 March and he hoped that we have a good turn-out of members. 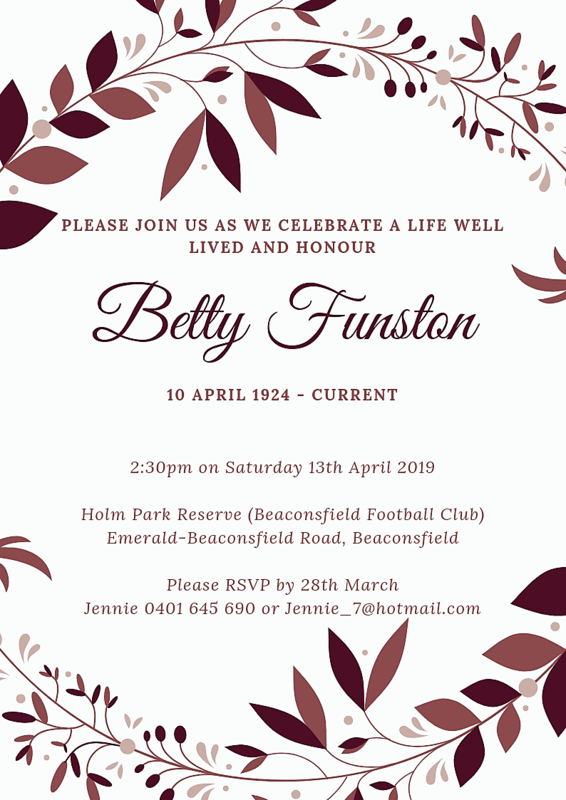 As usual the clean-up will be followed by a gourmet barbeque organised by Alf Giesen. 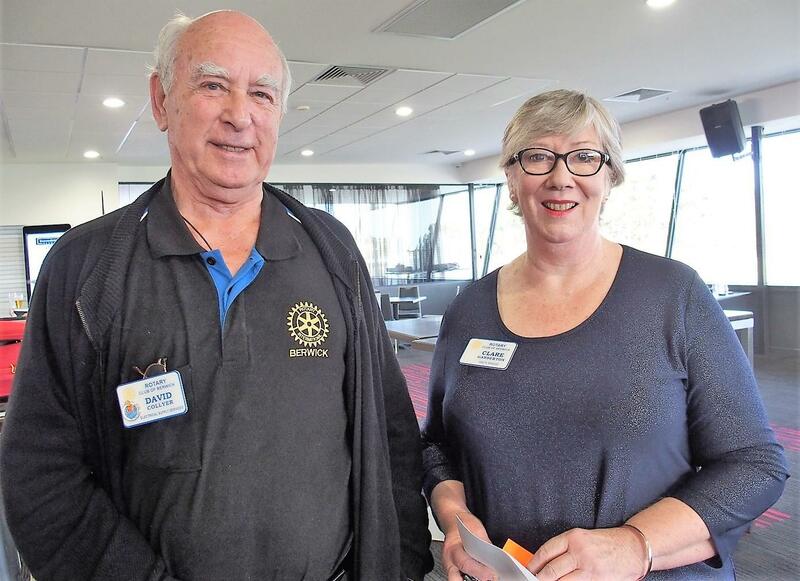 Clare Ganderton outlined the purpose of Rotary, which is to bring together business and professional leaders, in order to provide humanitarian service and to advance goodwill and peace around the world. 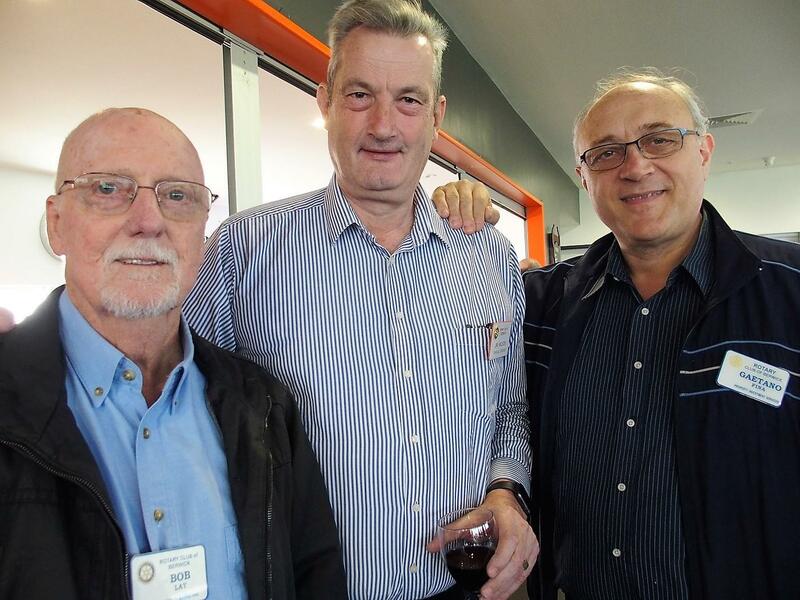 Rotary aims to foster high ethical standards in business and professions, the recognition of the worthiness of all useful occupations, and the dignifying of each Rotarian's occupation as an opportunity to serve society. Rotary Clubs are part of an international network which strives to make the world a better place through practical efforts. They unite men and women from different backgrounds, cultures, religious and political beliefs the world over, allowing ordinary people to do extraordinary things. 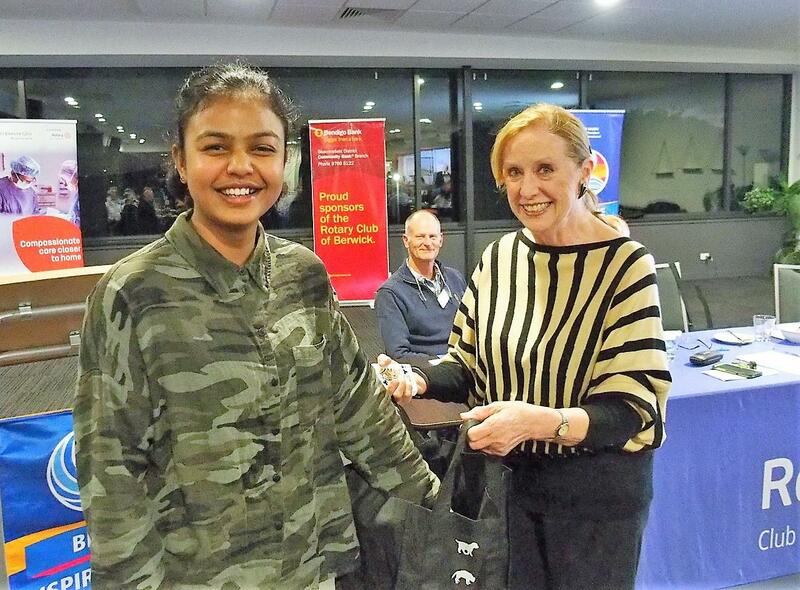 Our 2019 NYSF participant, Upani Mapala-Gamage presented a summary of her experiences at the Forum in January. 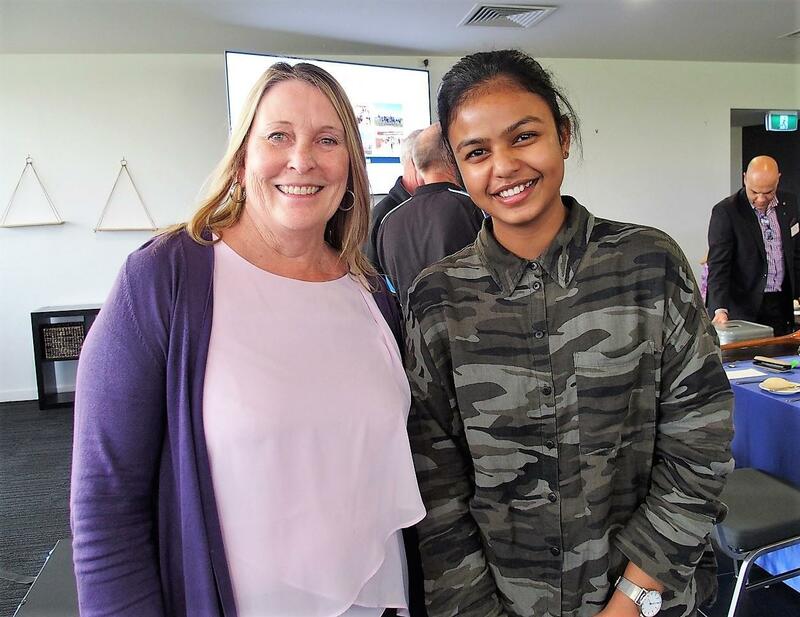 Upani explained that the National Youth Science Forum (NYSF) is a not-for-profit organisation that runs a number of 12-day residential programs to encourage young people in their passion for science. 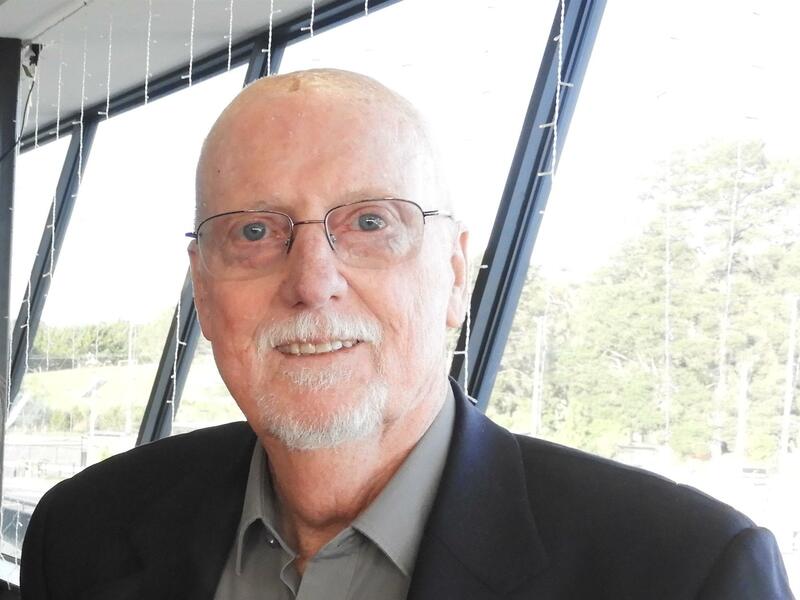 It was originally formed by Rotary in collaboration with business and academic partners and has been operating for 36 years. 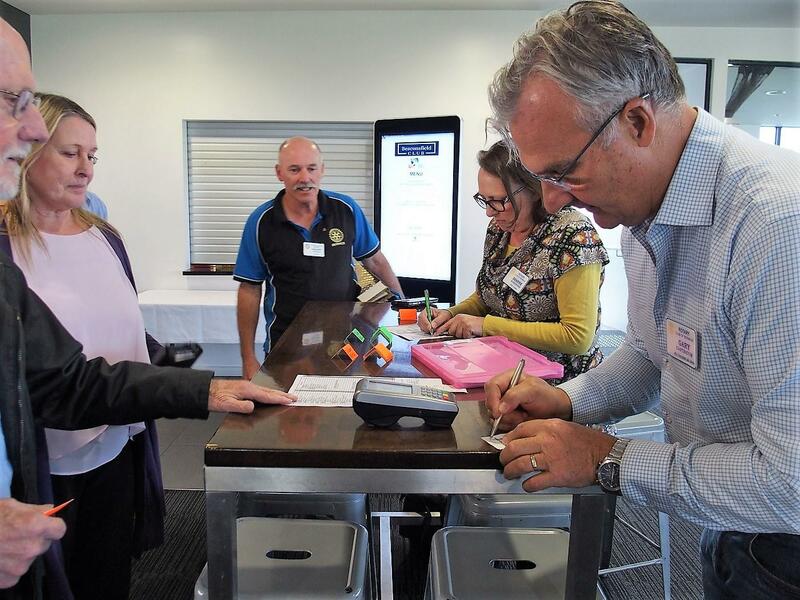 Each year 600 particpants are selected from all over Australia, as well as a few from overseas. 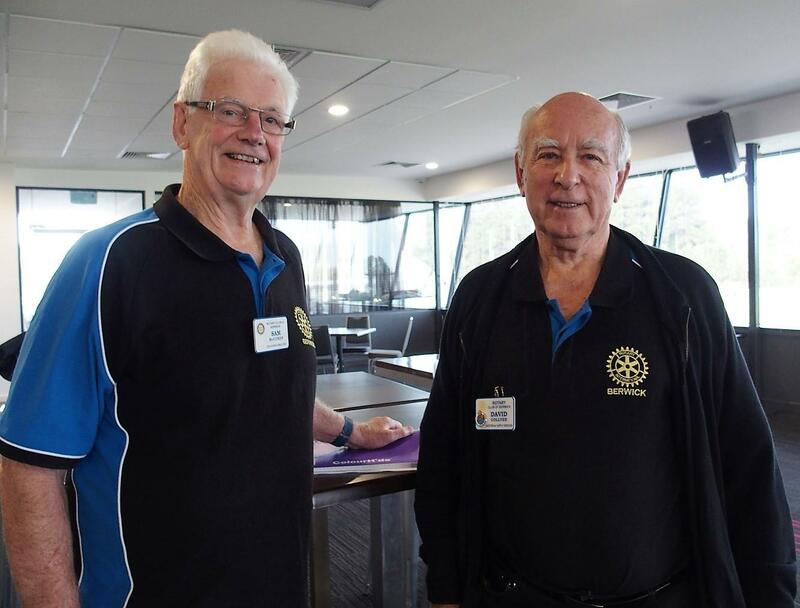 Each participant must be endorsed by a Rotary Club. 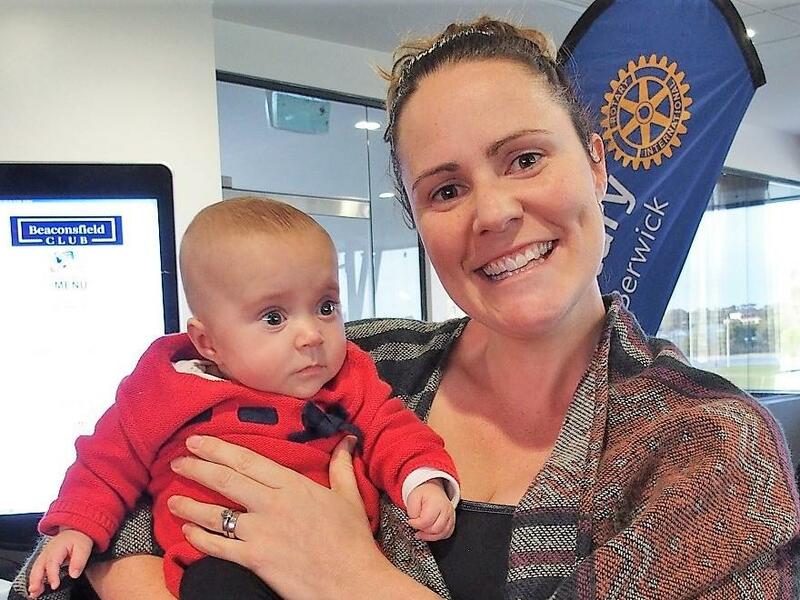 To gain Rotary Club endorsement of her application, she applied to three Clubs and the Rotary Club of Berwick was the first to reply. 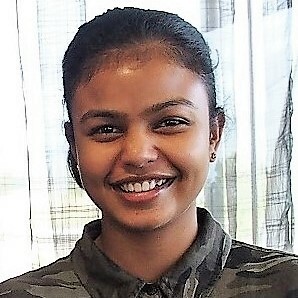 After being selected at District interviews, Upani reported that she had been assigned to the residential sessions conducted at the University of Queensland. To ensure that she settled in to the residential College, she was assigned a "buddy" to whom she could turn to for advice. 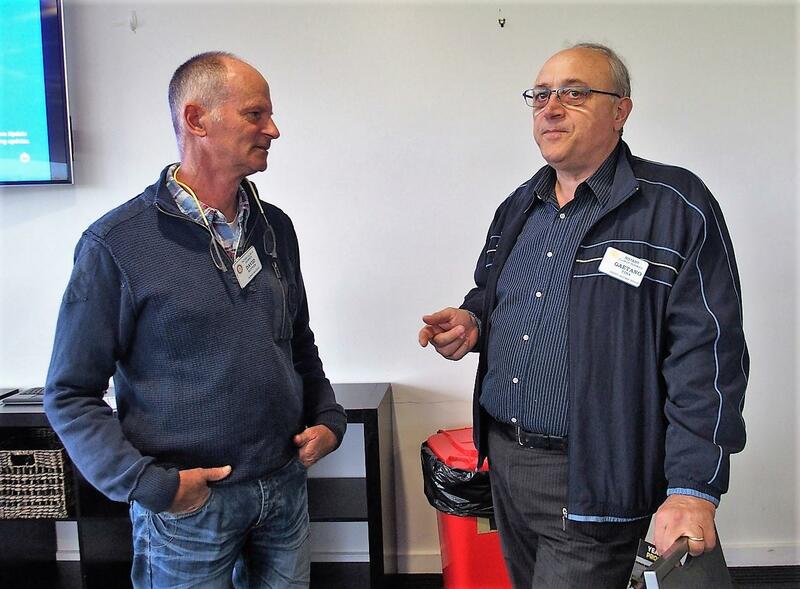 To start the program, participants were divided into their special interest groups. Upani choose the "Environmental sustainability and ecology" group, as she is very interested in this area of science. group activities to improve communication and presentation skills. Upani was delighted to find that the participants weren't anti-social introspective nerds, as she had anticipated. Instead, they were really outgoing and fun-loving nerds and she thoroughly enjoyed the overall experience. 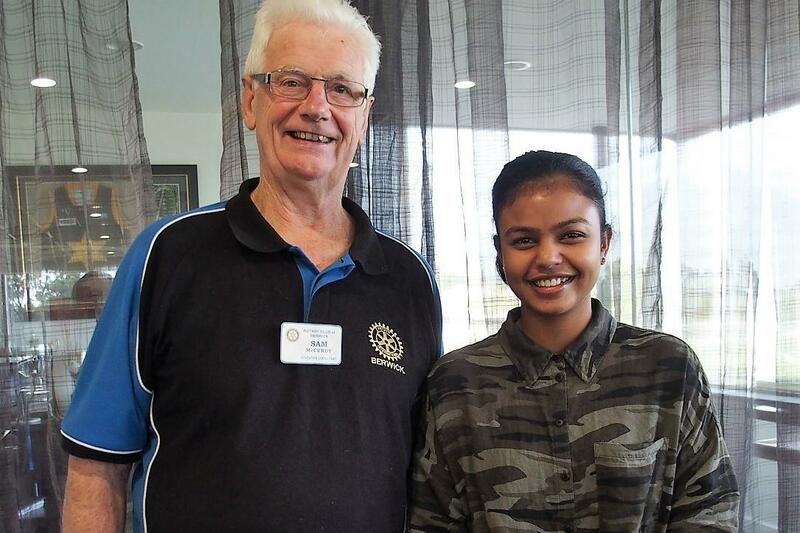 Upani thanked the Rotary Club of Berwick for all their support and she promised to keep us informed of her future career progression. Upani Mapala-Gamage drew the winning ticket, which belonged to PP Gerald Treasure. 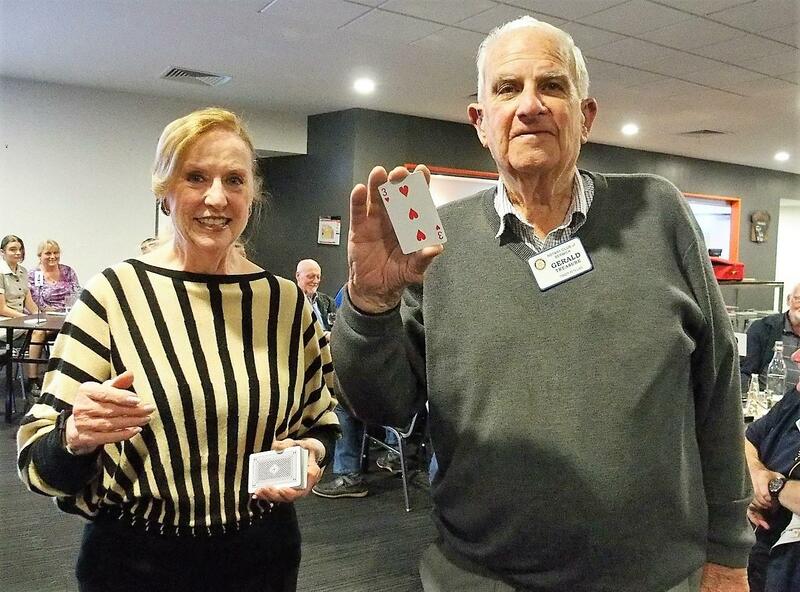 Gerald carefully selected a card from the top of the deck, only to find it was the 'Three of Hearts'. There will be no Jokers Wild for the next three weeks, as there will be no meetings at Holm Park during that time. 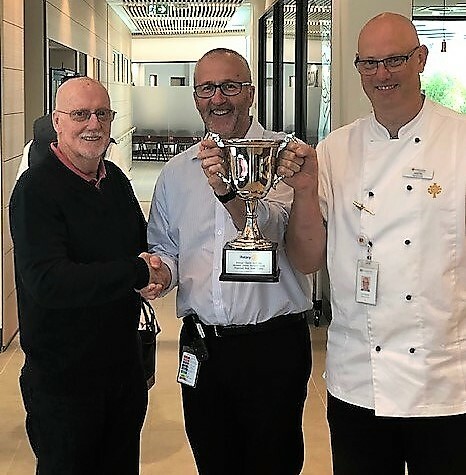 Bob Lay AM presented the ‘Michael Morland ‘ Perpetual Trophy to members of the St John of God Hospital Berwick team, for being the best team at the 2019 Charity Golf Day competition, which was held at the Cardinia-Beaconhills Golf Links on Friday 1st March. The team beat 20 other teams in an Ambrose format to win the trophy, but were unable to attend the official prize presentations.